Today I’m sharing an old post that fits perfectly with the Christmas theme. 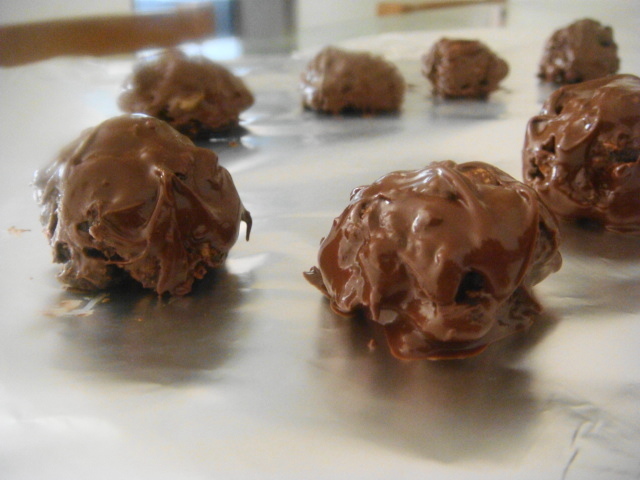 No-bake chocolate candy that can be customized to your liking. It’s a Dorie Greenspan recipe, and I first made it over two years ago, with my own twist: more chocolate! The original post, along with the recipe, can be found here, dated November 2011.